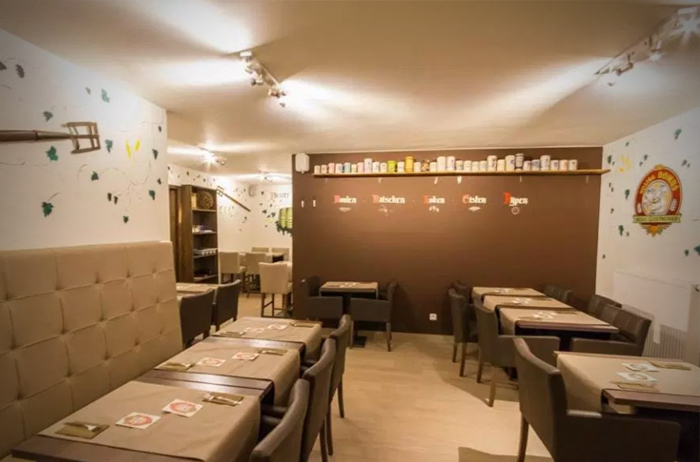 In addition to a restaurant and home brewery, Domus has three unique rooms that are perfect for hosting events or group activities. Our Mezzanine – literally the ‘intermediate floor’ – can accommodate up to 65 people. The room is located on the first floor, with its entrance on Tiensestraat. If you want to enjoy the atmosphere and cosiness of our brasserie downstairs, the Mezzanine is the ideal room for your event. 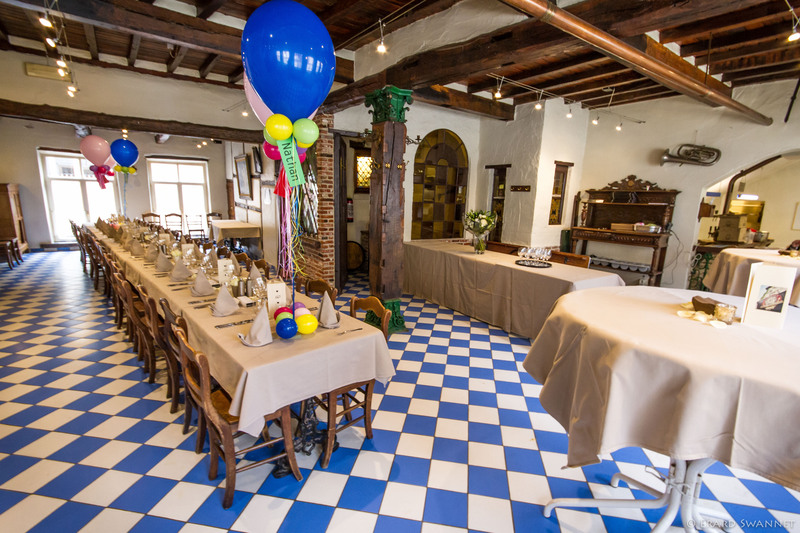 Located on the first floor, the Blue Room can accommodate up to 80 people. In contrast to the Mezzanine, this room is fully closed off from the brasserie downstairs, making it ideal for a private party, a seminar or a meeting. 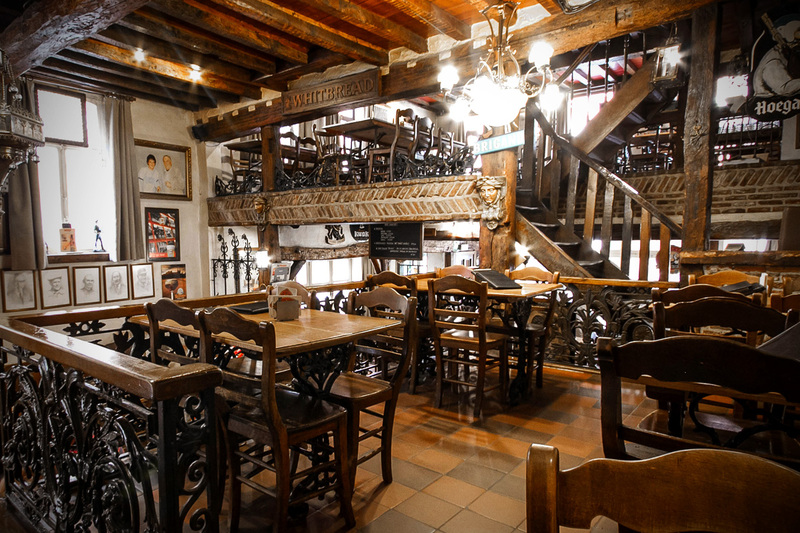 The entrance is located on Jozef Vounckplein and a reservation can be made starting from 35 people. The Séparé room is located on the ground floor of the Domus brasserie. It can accommodate up to 30 people and has a separate bathroom. Reservations can be made starting from 10 people. Family occasion? Birthday? Communion? Christening? Meeting? 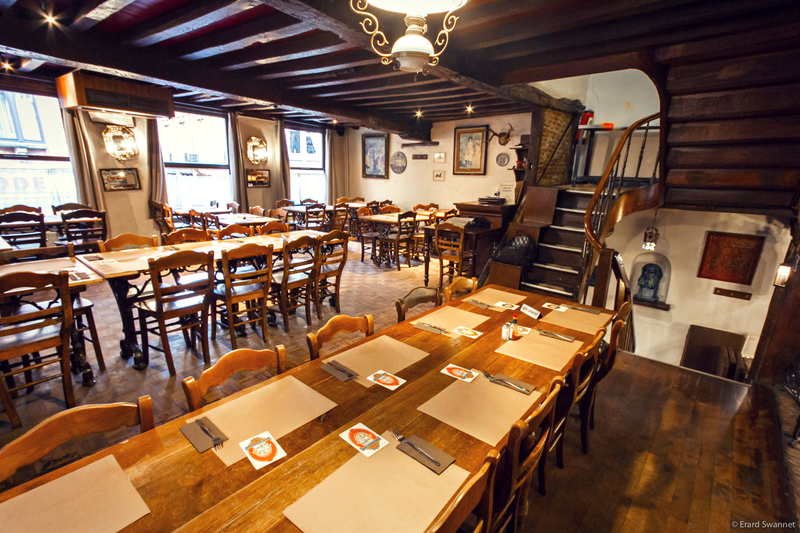 Domus Leuven has cosy rooms that can host any festive or business-related event. Any special event becomes an unforgettable occasion with us. Celebrating a birthday? Arranged to spend an evening with your colleagues? Our rooms are the ideal place to take a break during a group trip or excursion – or as the final stop on your tour. Enjoy delicious meals paired with the perfect drinks and get ready for an unforgettable evening. Fresh Belgian dishes in Leuven’s uniquely authentic atmosphere, where service & quality are the top priority.